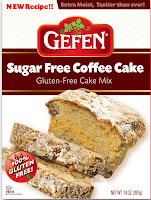 As I've mentioned in prior posts, many kosher for Passover products are made gluten free. Also sometimes labeled as non gebrokts, those products are prepared without wheat, barley, spelt, oats and rye for religious reasons. New items are introduced every year, and some - like Shabtai Gourmet, whose gluten-free cakes and cookies at one time were made only for the holiday - satisfy demand all year long. 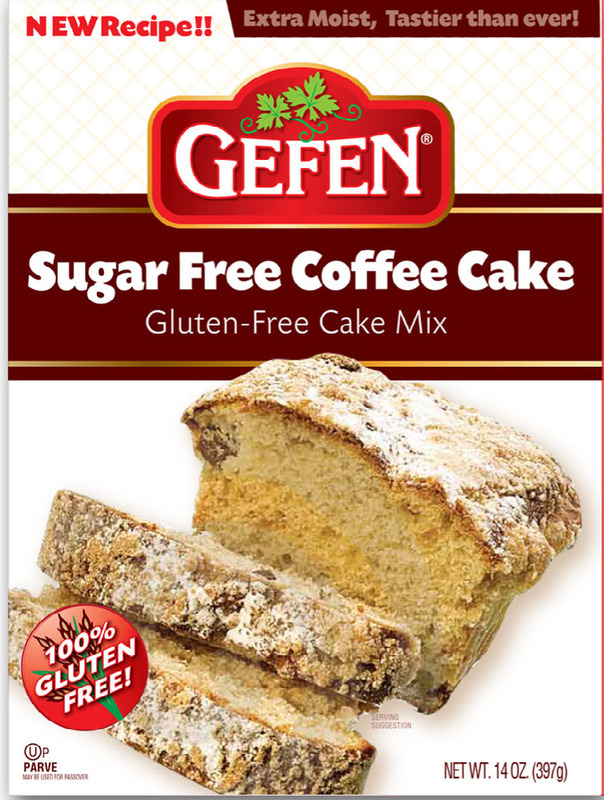 With that in mind, Kedem Food Products, in association with the Celiac Disease Foundation, has expanded their all-natural gluten-free products to include a year-round line of Gefen-brand cereals and cake, cookie and frosting mixes. 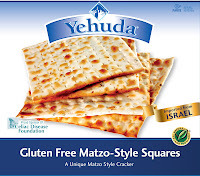 In addition, the company will debut Yehuda-brand Gluten Free Matzo-Style Squares for Passover this Spring. 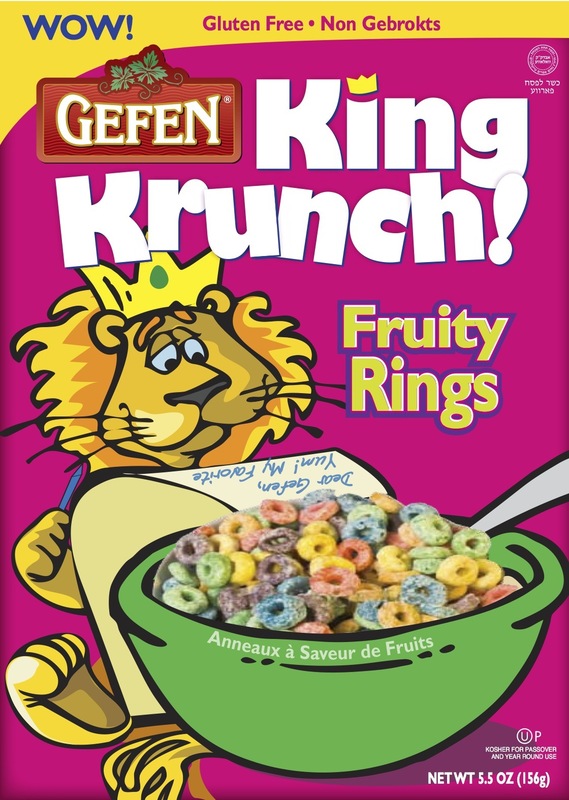 The new King Krunch cereals come in four varieties: Frosted Flakes, Fruity Rings, Honey Rings and Chocolate Rings. Although the brownie and chocolate cookies are not new, they previously were only sold for Passover. Premiering this year are a chocolate cake mix, chocolate and vanilla frosting mixes, and sugar-free coffee, chocolate and yellow cake mixes. The matzo-style squares will be a new option for the holiday, and should make for a much less expensive option than the gluten-free oat matzos that have been available for Passover the last few years. The crackers are made with tapioca starch, water, potato starch, potato flour, expeller-pressed palm oil, natural vinegar, egg yolks, honey and salt. The best bet for finding these products is in the kosher section of your local supermarket. If the store carries other Gefen products, chances are the manager can order these for you upon request. This is my first time reading your blog. Even though we still cannot use this matza for the Passover seder, I cannot wait to have gluten-free matzabrei. There are only four grains that can be used for Passover matza. Sorry. I meant that there are only four grains that can be used for the seder. The Gefen matza is definitel kosher for Passover. 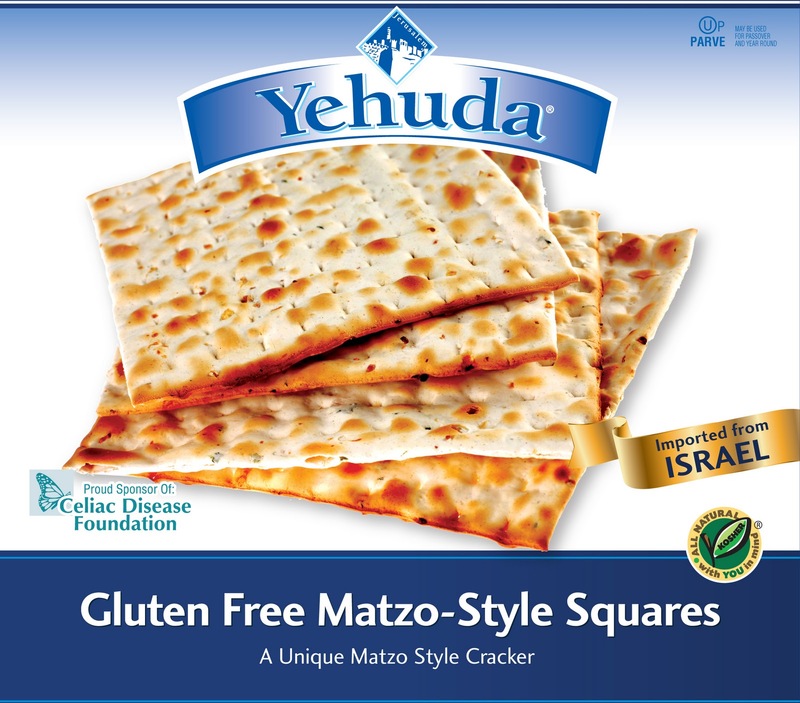 If your celiac, can't you use the matzo? Isn't there "tolerance" for the sick and elderly? saw these at glutenfreematzo.com the other day. kosher for passover.